When Bob Darden, a critic for Billboard Magazine first heard Jan Krist's music, he was driving down one of those Texas back roads. Within a minute, he had to pull over to the side of the road ? he was that moved by her plangent, poignant song, ?Someone?. Those who know Krist's work are never surprised by that story. They have all had the same sort of experience. Krist is a singer-songwriter with expert guitar chops (including the use of rich open tunings) literate lyrics, and the indescribable ratio between emotion, honesty and humor that makes for a devoted following. Those who know Krist's work are never surprised by that story. They have all had the same sort of experience. Krist is a singer-songwriter with expert guitar chops (including the use of rich open tunings) literate lyrics, and the indescribable ratio between emotion, honesty and humor that makes for a devoted following. In 1992, Jan became a Kerrville ?New Folk Finalist?. She has since played this famous song-writer's festival 3 times. She has appeared at several festivals from Pennsylvania to California. Highlights include the Ann Arbor Folk Festival (MI), Tree Frog Fest (MN), Bliss Fest (MI), Wheatland Music Fest (MI) and Cornerstone Festival (IL). 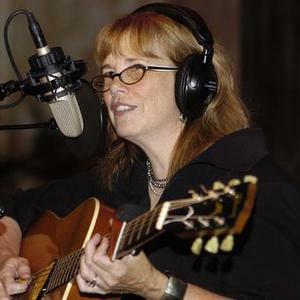 Jan has appeared at many renowned folk clubs around the country including The Tin Angel (PA), Eddies Attic (GA), The World Cafe (PA) , Uncle Calvin's (TX), Madison Folklore Society (WI), The Ark (MI), Club Passim (MA), The Bluebird (TN), just to name a few.